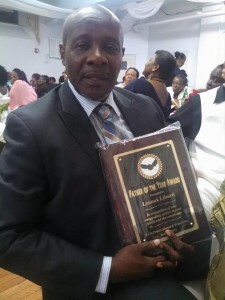 New York Based Cayon Activist Lennox Liburd recieving Father of the Year Award in New York. Liburd has made a loud appeal for assistance in procuring CCTV’s for his hometown of Cayon on St.Kitts . Cayon, St.Kitts (January 28th 2016):- Well known New York based St.Kitts Community Activist Lennox Liburd has made a loud and passionate appeal for assistance for his hometown in Cayon. Motivated and Inspired by the recent spate of violent and gun related crimes in his hometown community Liburd went to social media to make the clarion call for assistance in the fight against crime in the neighborhood that nurtured and raised him. Labeled the OPERATION CAMPAIGN DRIVE Liburd appealed through social media , to all his fellow villagers , friends of his beloved community of Cayon and friends and nationals of St.Kitts-Nevis to contribute to the campaign that will result in the implementation of a number of crime fighting enhancements in the Community beginning with the procurement of CCTV’s. 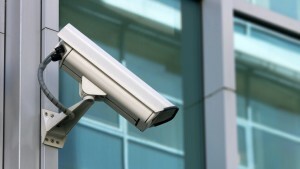 CCTV is widely used throughout the world in assisting and enhancing the fight against crime and violence.